Please note: I have some merged cells here. 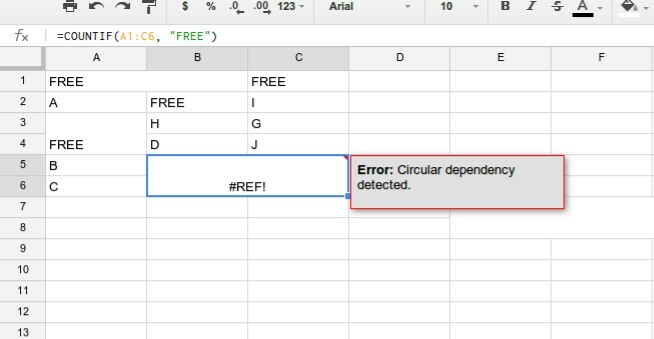 This is happening because you have put the formula inside the range (A1:c6) that you are trying to count the number of "free"'s in. Put the formula into a cell outside the range. The formula in cell B5 (the up-left cell in the B5:C6 merged range) should be =COUNTIF(A1:C4).